Ian, the owner, was prompt, efficient and polite in dealing with both arrival and departure. A pleasure to deal with him. He was very helpful with allowing us to park on site until after the Cambridge half marathon which trapped us in the close. Beautiful apartment great location not very far from the college's and shops and restaurants. The location; the balcony; everything you could possible need was there. And it was surprisingly peaceful. I say surprisingly because I expected appartment living to be noisy but it wasn't. And I noticed a sign on the door saying there is a noise polution fine of £500. We were 5 mins from the river. We walked through a grassy area with cows munching away on it. Then reached the path where we came upon a torrent of cyclists and joggers. Took 15 mins to walk to the centre. The fantastic welcome and easy check in process. The breakfast pack was brilliant. Location of apartment was perfect for our two day stay in Cambridge. Easy check in/out. Onsite parking was very handy. The location was perfect for a weekend away in Cambridge, Chris was very friendly and helpful, the apartment was very modern, clean and well equipped. I would definitely stay there again. The friendliness of the owner. The ease of parking. Location of property and quietness. Facilities and generous welcome pack. Lock in a great price for Camstay Riverside – rated 9.7 by recent guests! 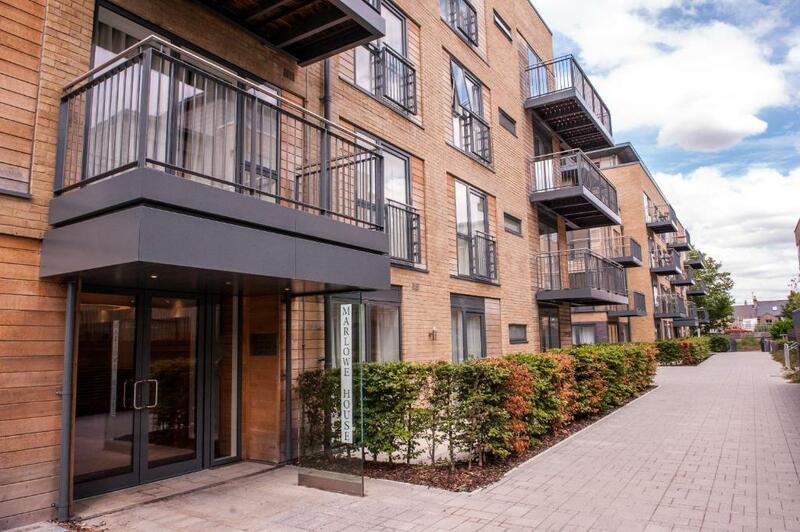 Located in the historic city of Cambridge, Camstay offers a one-bedroom apartment with a private balcony overlooking the River Cam. 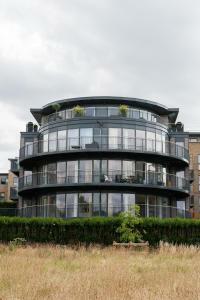 Direct access to Midsummer Common and the river itself is available via a series of linked landscaped courtyards. Guests benefit from complimentary on-site parking. 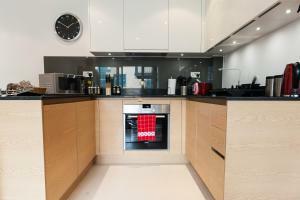 Free Wi-Fi is provided in the Camstay apartment, as well as a fully equipped kitchen with a Siemens fan assisted electric oven, microwave and an integrated fridge/freezer and dishwasher. A flat-screen TV, coffee table and sofa are provided in the lounge area. A welcome pack is provided on arrival and includes fresh milk, tea, coffee and sugar. A breakfast hamper with fresh bread, orange juice, cereal, butter and preserves is also included. 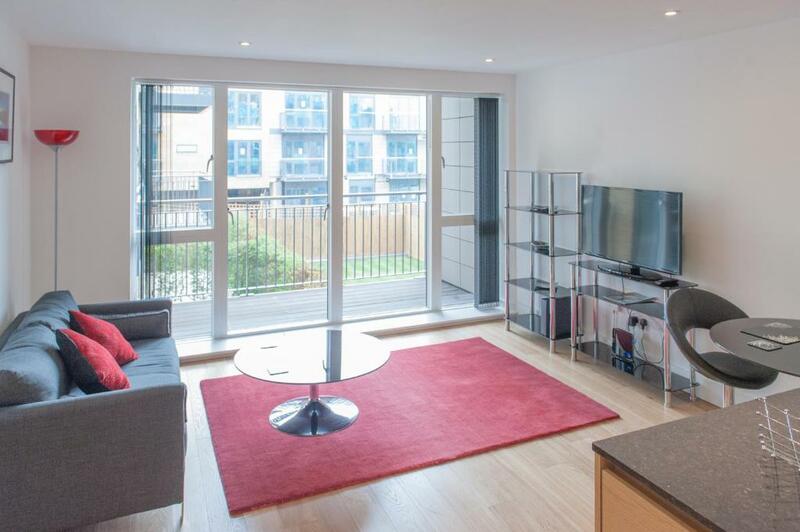 Cambridge city center can be reached in a pleasant 15-minute walk through Midsummer Common. It features historic university buildings, pubs offering real ales and a wide selection of shops. You can also enjoy a traditional punt along the river, which can be self-guided or with a tour guide. When would you like to stay at Camstay Riverside? 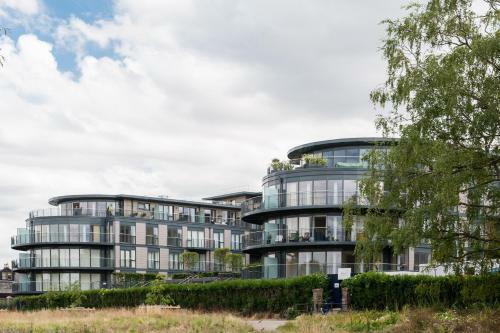 With a private balcony overlooking the River Cam, this apartment also features free Wi-Fi, a fully equipped kitchen and a lounge/dining area with sofa, flat-screen TV and a dining table. A designer king-size bed is provided in the bedroom, along with fitted wardrobes, chest of drawers and a dressing table. 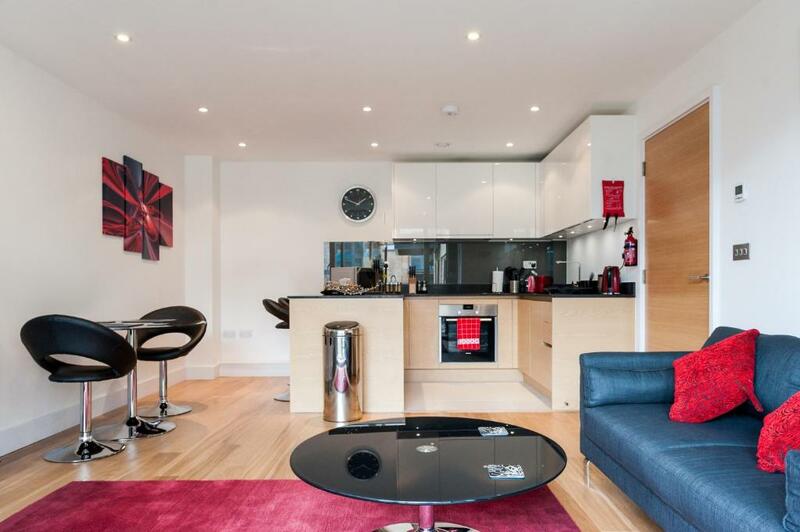 Camstay offer the only serviced apartment in this award winning complex — considered to be the most prestigious development in Cambridge. 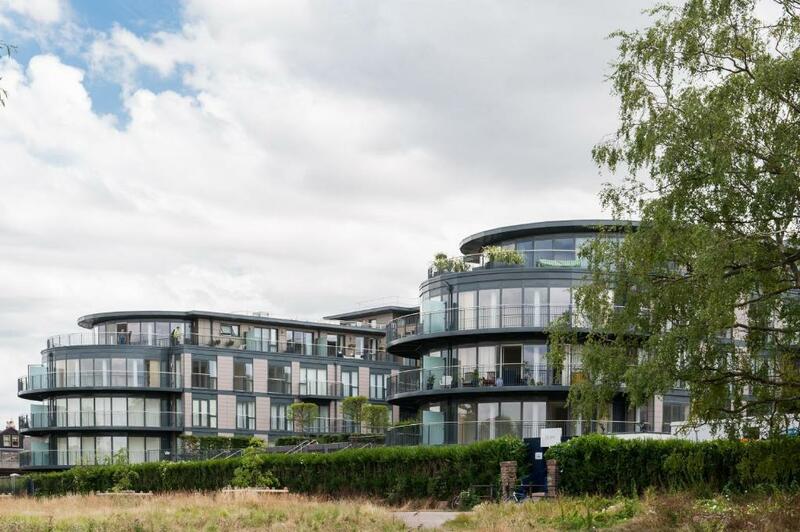 With stunning views of Midsummer Common and the River Cam, onsite facilities include secure underground parking and concierge service. Camstay provides luxury accommodation in the heart of Cambridge. 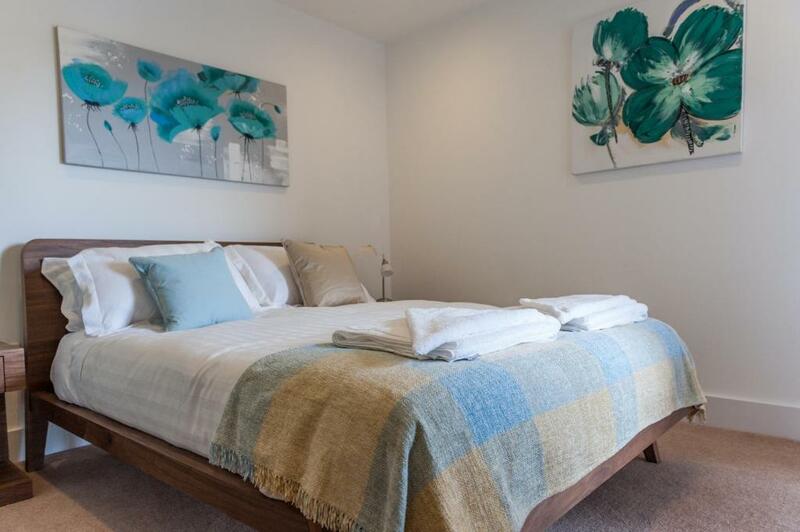 Our properties are furnished to the highest standards and are available on a self-catering basis for short breaks, long weekends or longer stays. We are a family-run business, and aim to offer the same exceptional level of service to all our guests during weekdays and weekends, day or night. All properties are fully furnished to a high standard. Kitchens are fully equipped with all cutlery, crockery and utensils. Appliances include microwave, oven, fridge/freezer and dishwasher. Cleaning products are also provided. House Rules Camstay Riverside takes special requests – add in the next step! A GBP150 damage deposit is required on arrival (around USD194.66). This deposit will be fully refunded 14 days after check-out, as long as there isn't any damage to the property. Camstay Riverside accepts these cards and reserves the right to temporarily hold an amount prior to arrival. Property operates a strict no noise policy and there will be a penalty if this is not adhered to. Bookings can only be accepted for single occupancy and/or couples. Please note that the shower is located above the bath and is therefore not disability friendly. Please inform Camstay Riverside of your expected arrival time in advance. You can use the Special Requests box when booking, or contact the property directly using the contact details in your confirmation. Please note that the full amount of the reservation is due before arrival. Camstay Ltd will send a confirmation with detailed payment information. After full payment is taken, the property's details, including the address and where to pick up the keys, will be sent to you by email. A damage deposit of GBP 150 is required on arrival. That's about 194.66USD. This will be collected by credit card. You should be reimbursed within 14 days of check-out. Your deposit will be refunded in full by credit card, subject to an inspection of the property. Good location. Very nice flat. Secure parking. 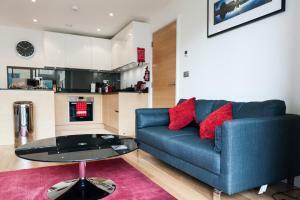 very nice fully equipped apartment. Spotlessly clean apartment. Great facilities. The black sofa wasn't comfortable at all. Especially at one end. I think it has been damaged. The owner might not realise because it looks alright. (If inspecting - it is the side nearest the door.) We coped with lots of cushions.